Here’s where Get Out truly starts to show the range of its writing. Anyone remotely aware of the actual state of race relations in America right now will feel equal amounts of social anxiety and genuine dread over the course of this movie, as casually racist remarks and real danger make themselves known in equal measure. White people throughout remarking that “fair skin has been the measure of beauty for years, but it seems that black is ‘in’ now,” or looking at Chris’ crotch and asking his girlfriend Rose “Is it really that much better?” really set the audience on edge in a way that is normally reserved for the more tangible threats. Using these two ideas in tandem create tension in a way most movies fail to do. Herein lies the true success of Get Out. It constantly moves between a variety of tones without ever feeling tonally inconsistent. There’s genuinely funny humor, adrenalin-pumping action, quietly unnerving conversation, and truly dread-inducing imagery all interwoven with such masterful flow that they build on top of each other without ever distracting from the quiet horror lurking underneath. None of this would have been possible without performances matching the directing. Daniel Kaluuya performs beautifully as Chris, portraying tired politeness that slowly builds toward a beautifully portrayed breaking point. Without spoiling too much about the rest of the cast, everyone performs their changing roles with aplomb, from the unnerving smile of the gardener to the unknowing and uncaring casual racism of the partygoers, every performance held its own. This last point is strictly conjecture, but I do firmly believe that there is likely an alternate ending of this movie that might technically be “better” than the one in the theatrical cut. Keeping it vague, the ending feels like it had something much darker and inflammatory planned, but Blumhouse or someone along the way said “that’s actually too much,” as they have clearly done in the past with the likes of Sinister. It’s not something I can fairly hold against the movie, but the thought is very present. 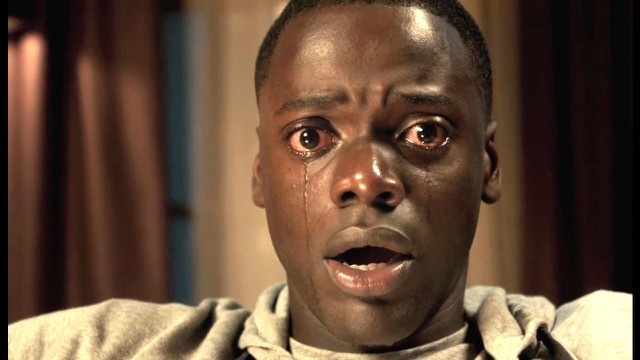 Ultimately, Get Out is a tremendous film with one or two missteps along the way. It’s scary, funny, and thrilling in all the right ways, and I truly cannot wait to see more direction from Jordan Peele.